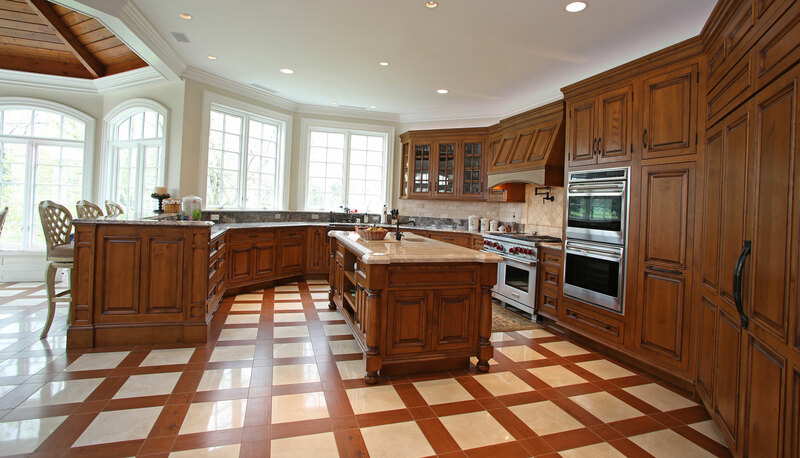 This is a very nice project in Chevy Chase, Maryland that we recently worked on with Winchester Construction Company. 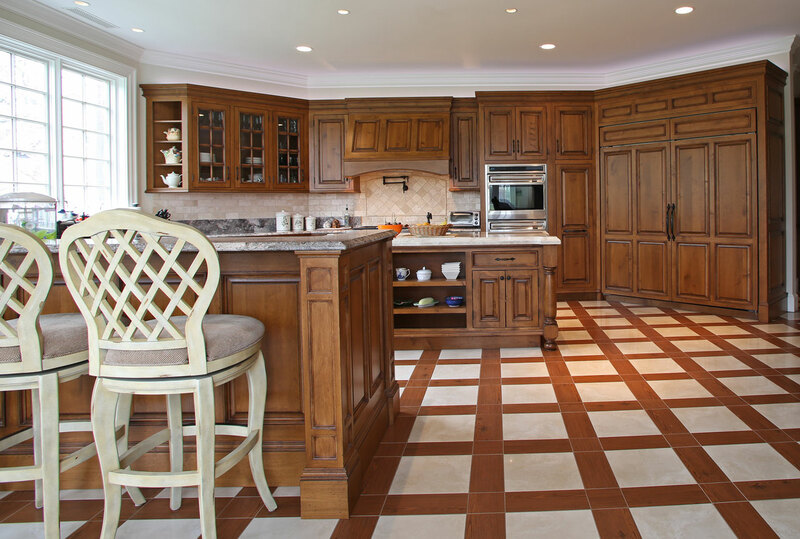 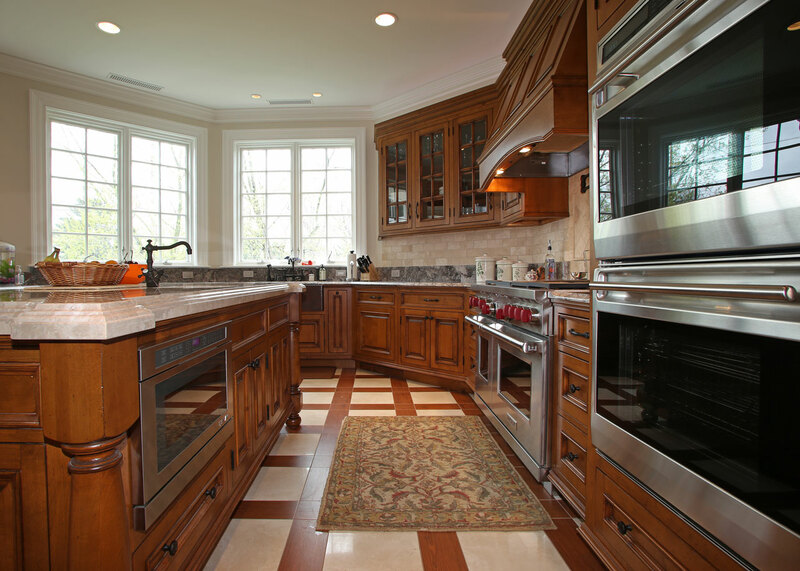 We fabricated this kitchen using clear red alder. 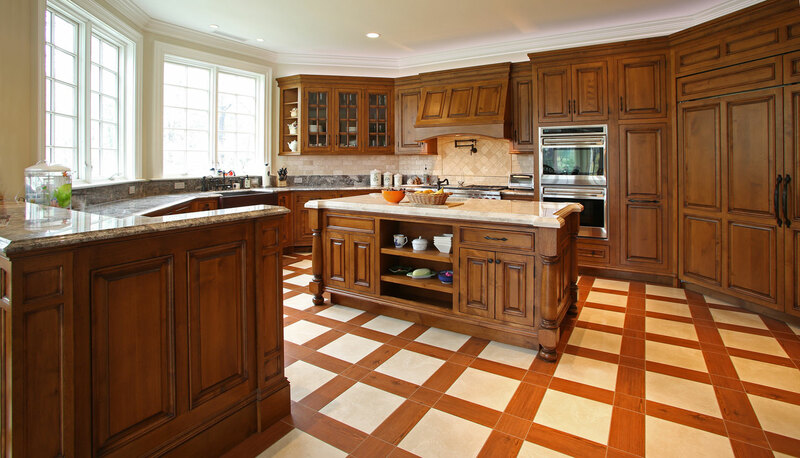 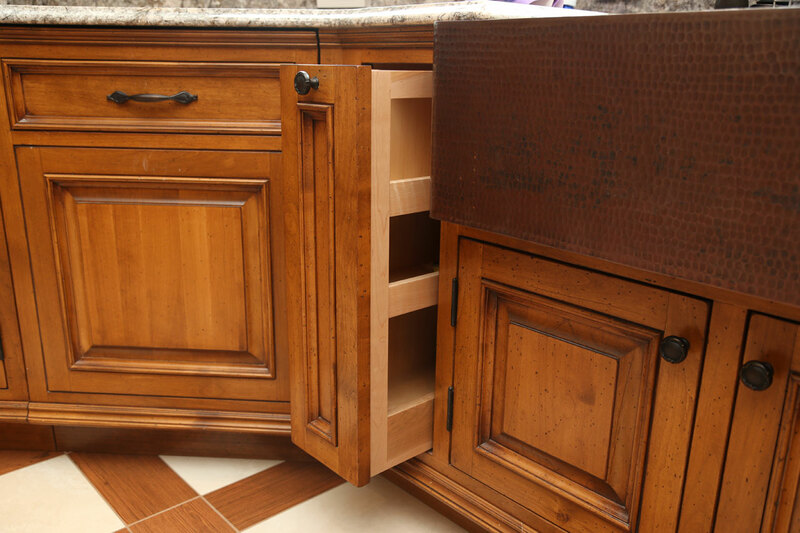 The warm rustic feel comes from a base honey stain, with a distressed and glazed finish. 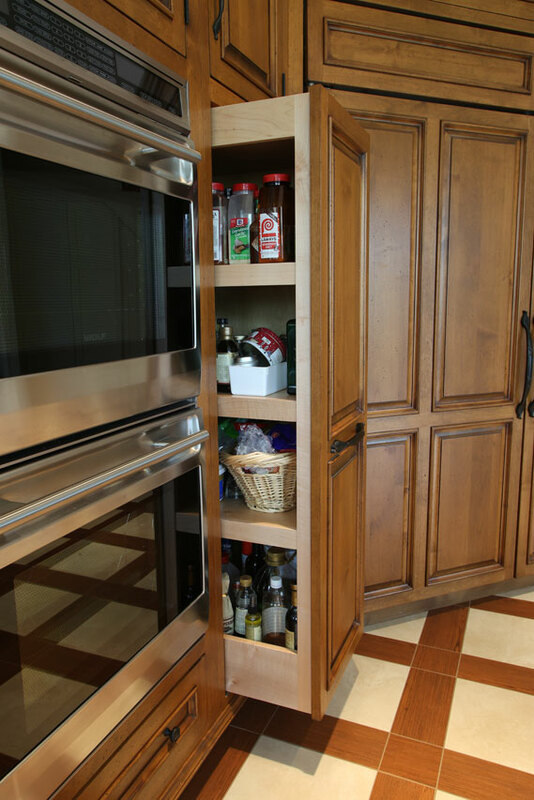 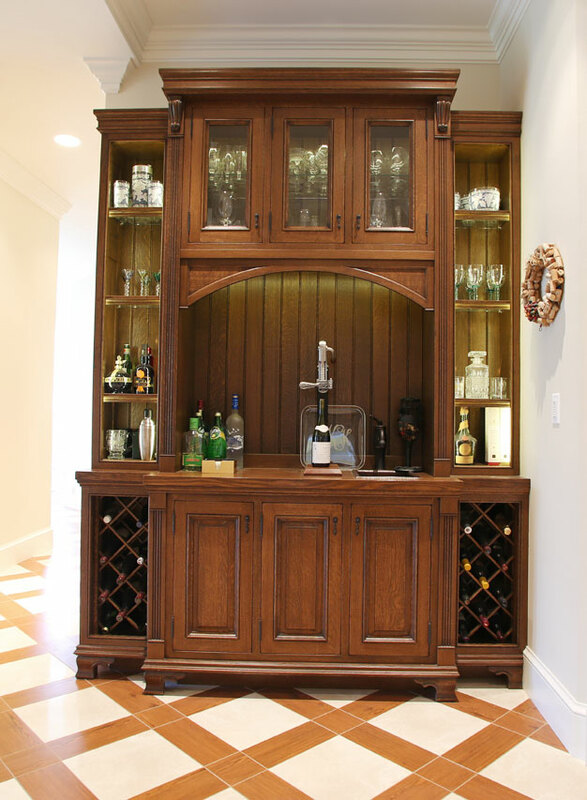 Adjacent to the kitchen, we added a free-standing quarter-sawn white oak wet bar. 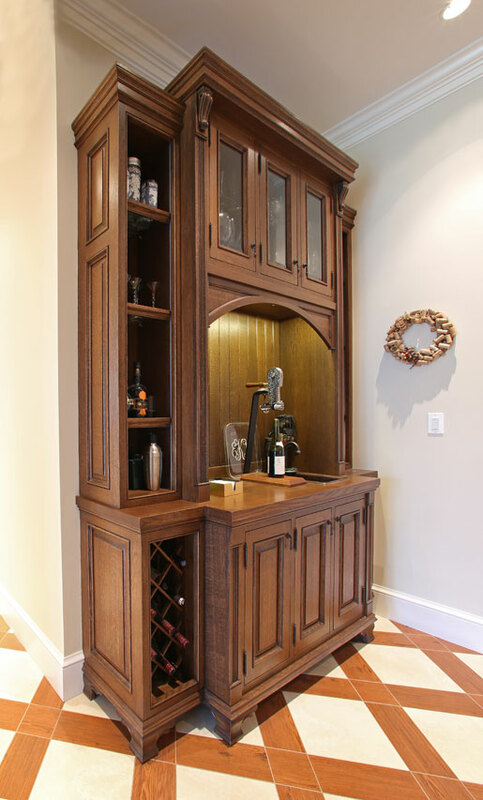 It features a sink, pull-out drawers, wine racks , glass shelving with wooden edges, beveled glass upper doors, hand mortised hinges and LED lighting.